Follow Start > All Programs > DVDVideoSoft > Programs > Free Image Convert and Resize or just click the DVDVideoSoft Free Studio icon on the desktop. The interface is very simple and self explaining. Click the Add button to select an input image file(s) from your computer. 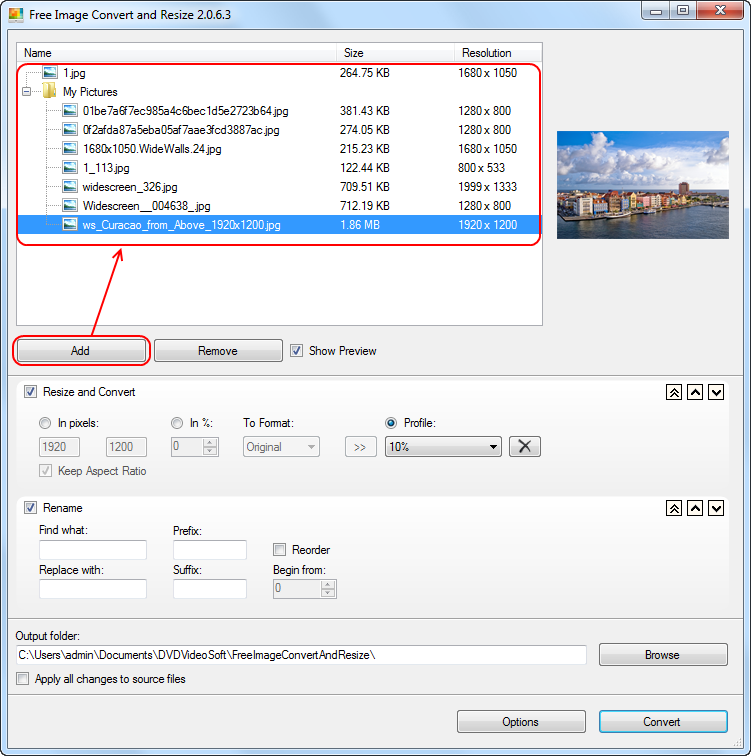 You can select separate images as well as folders containing images in formats JPG, PNG, BMP, GIF, TGA. 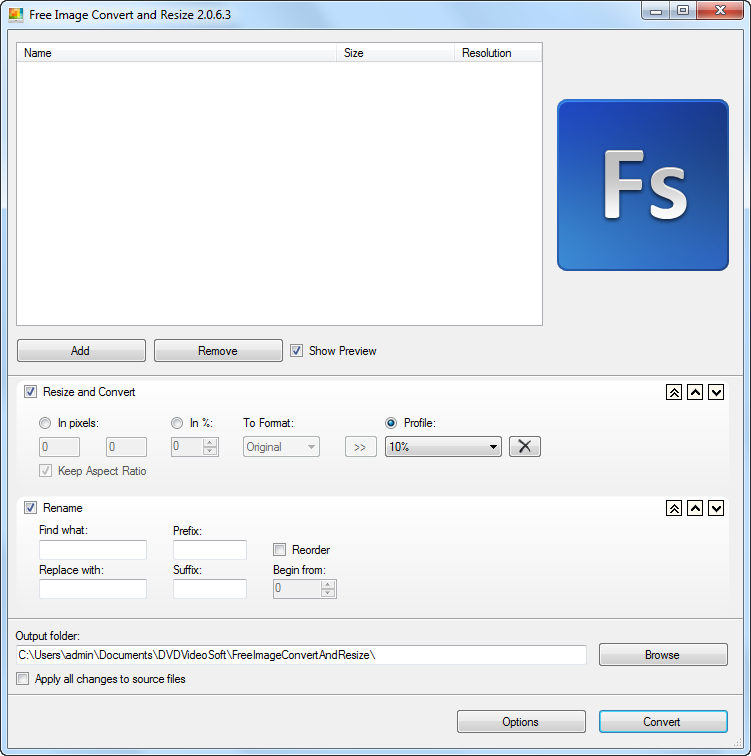 Define the dimensions of the output image by setting height and width values in the corresponding fields or set percentage for the output file from the original one. Also select the output format. You may save these settings to a profile and use them later. You can change the name of the output file or part of it by putting information in the corresponding fields (use "Find what" and "Replace with"). Moreover, it is possible to add prefix and postfix to the file name. 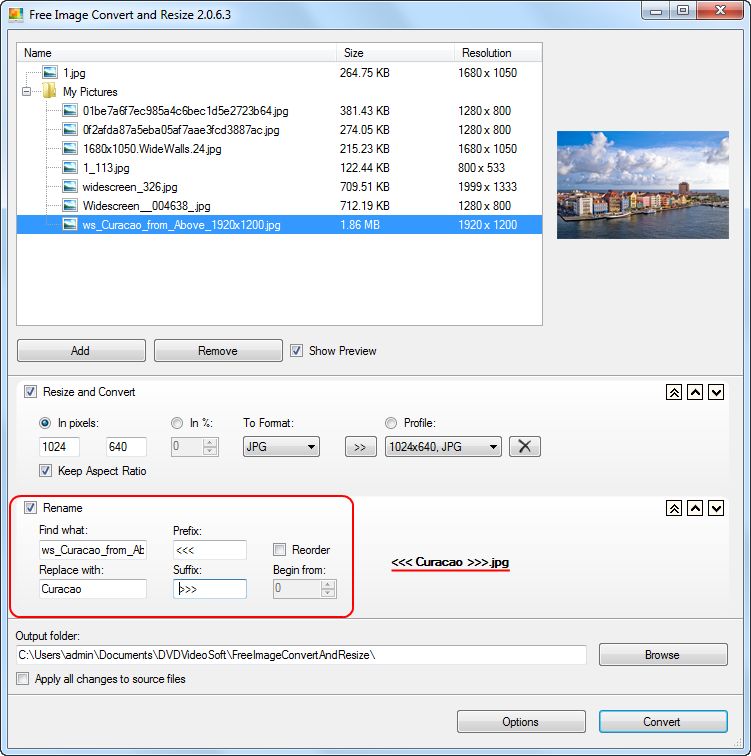 Output file name pattern is displayed on the right. Click the Convert button along the bottom of the interface and wait just a few seconds.